Mornings have become my favorite part of the day, but they didn’t use to be…. Before I figured out my ideal morning routine, I used any excuse to get back into bed. Now that my days are more hectic, I utilize my mornings to ensure I start the day out right. I feel like this is a common topic of discussion right now. Self Magazine has started a new series, called Up and Out, where different women discuss how they like to start there day, or how they fit in exercise during their morning routine. While I think a lot of these articles do not really relate well to me (maybe they don’t have a 9-5 job and can start their day at 9am or they like to start each day with expensive face creams), they are a good reminder of how important it is to start out each day on the right foot. 6:25am- Fitbit alarm goes off and Peanut launches off the bed! 6:30am- Brew coffee in our french press and clean out Peanut’s bowls. 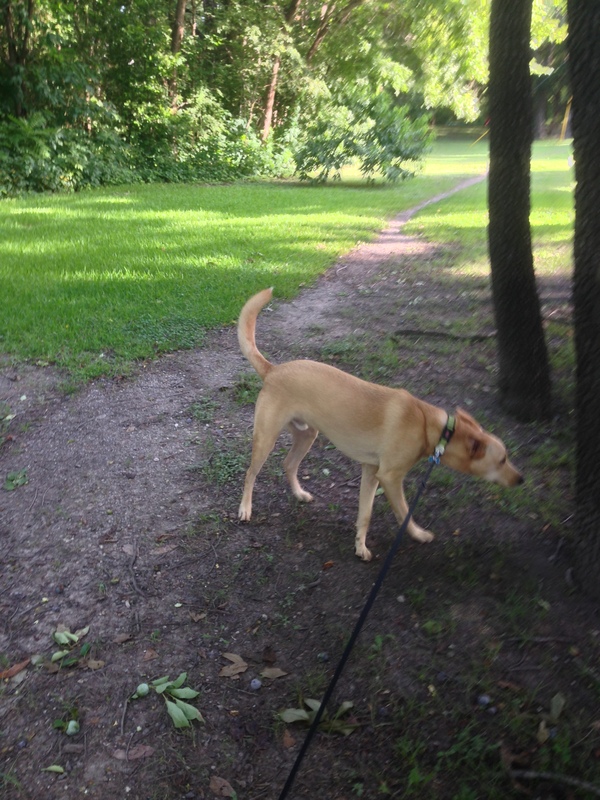 6:45am- Head outdoors for a morning walk with Peanut, and usually Nick too! 7:05am- Stick Peanut inside and either head out for a morning run or do some weights. 7:25am- Feed Peanut breakfast, make myself a coffee (and either a smoothie or wrap up a piece of baked oatmeal to eat a work), and head to get ready for the day. 8:00am- Head out the door! As you can tell, a lot of my morning routine is centered around my beloved dog. I’m totally ok with this! Usually by the time I get home I just want to relax, so this is our chance to get some playtime in. He also serves as an excellent alarm clock! Once my Fitbit goes off, there is no way hes letting me climb back into bed. I start almost every day by walking Peanut. 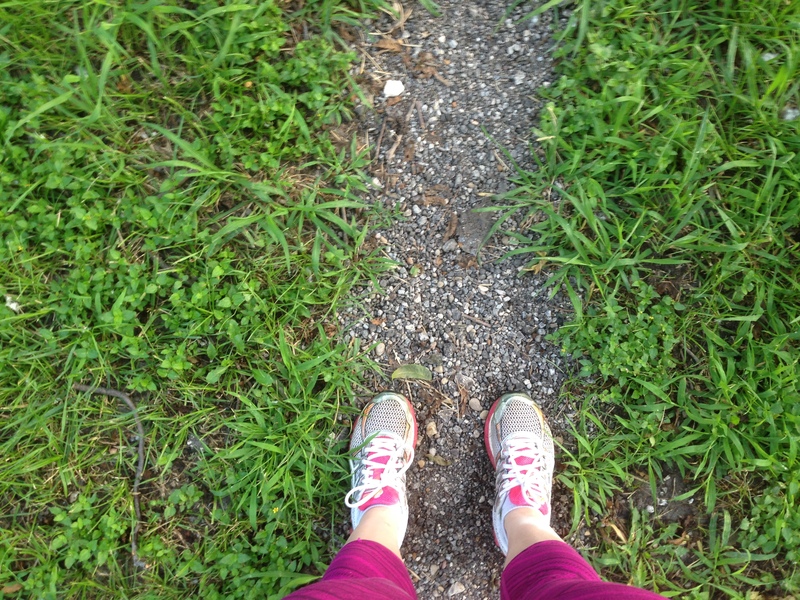 We have nice greenbelts and walking trails in our neighborhood, and it really helps me wake up. It also serves as my warm up for whatever exercise I choose for the day. Personally, I love going for a run. I’m already dressed and ready to go, and I can just head straight out my front door. Also in Texas, in July, the morning is really the only time you should be running outdoors anyway. It feels so awesome to have accomplished something before the day has even really started. I also get my workout out of the way in case the day gets packed with meetings and events. Do a much as you can the night before! I always try to make sure our french press is cleaned and ready to go, that I know where my workout clothes are, and that I’ve picked out my clothes for work. I also prep my smoothies the night before and stick them in the freezer. 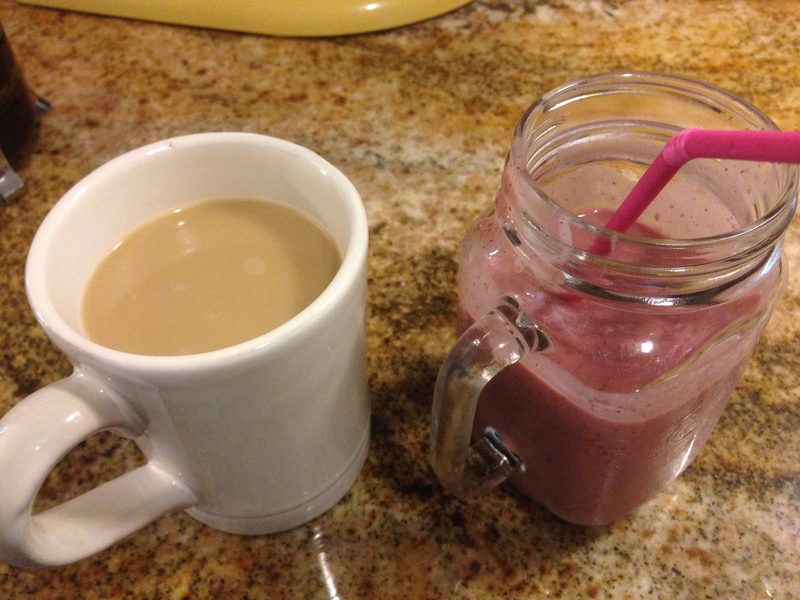 For easy weekday breakfasts, check out my favorite smoothie or baked oatmeal. Every extra minute in the morning helps! Ease into transitions. I use to wake up closer to 7:30am every morning, trying to squeeze in as much sleep as possible. I loved the idea of waking up earlier to work out and not be so rushed, but I gradually worked to my 6:25am start time. First I tried 7:10, then 6:50, 6:30, until it finally felt OK waking up then. Get outdoors. Research has shown that morning light can have a really positive effect on your circadian rhythm. There is nothing better than starting your day by breathing in some fresh air, hanging out in nature, and burning some calories. Squeeze in some exercise. I know that most days, if I don’t get my workout in early in the morning, it won’t happen. Ideally, I think I would perform best working out around 11am, but with a job from 8:30-5 every day, that’s not really an option. Over time, my body has grown accustom to working out early, so heading out for a run seems more natural now. Take a minute for yourself. I try to sit for a couple minutes before I shower just to cuddle with my pup, enjoy my coffee, and watch the morning news. This has become such a nice little routine that I really look forward to. How do you get Up & Out each day? 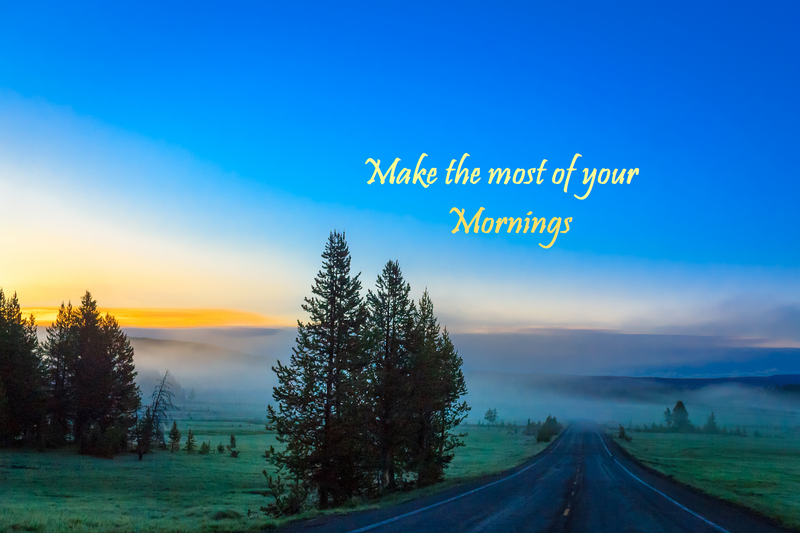 I’d love to hear what makes your morning special.